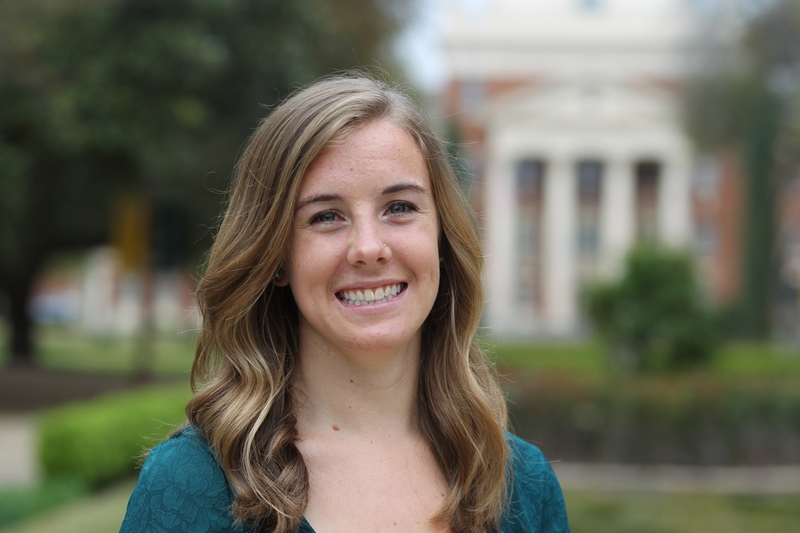 WACO, Texas (May 3, 2013) - Baylor University alumna and current graduate student Leigh Ann Ganzar of Littleton, Colo., is one of four Baylor students and recent graduates who have been selected to receive the prestigious Fulbright Scholarship. A 2011 Baylor biology graduate and current master's candidate in community health education (MPH), Ganzar received the Fulbright English Teaching Assistantship (ETA) and will spend the 2013-2014 academic year in Brazil teaching English to university students. Baylor Media Communications: How did you find out that you had received a Fulbright and what was your reaction? Leigh Ann Ganzar: I received word that I had been selected for the Fulbright scholarship to Brazil through email and was in shock from the moment I saw the word, "Congratulations!" When I called my family and friends to share the excitement, they did not know whether I had been selected for Fulbright or not because I was not forming coherent sentences through all the tears, exhilaration and rapid fire speech. Needless to say, I was thrilled with the news. Baylor Media Communications: Why did you decide to apply for the Fulbright and why did you choose Brazil? Leigh Ann Ganzar: I decided to apply for the Fulbright after returning from Brazil last summer. I spent five weeks there with the Baylor in Brazil program studying global health and participating in health education activities in communities there. The people, culture and language there left an indelible impression on me, and I couldn't imagine not returning to the country. Baylor Media Communications: What will you do in Brazil? Leigh Ann Ganzar: I am so excited for the opportunity to be an English Teaching Assistant in a university in Brazil. Because the teaching responsibilities are part-time, I am hoping to become involved in volunteer work or community research related to public health. Baylor Media Communications: Why did you decide to come to Baylor for your undergraduate study and stay for graduate study? Leigh Ann Ganzar: I ran cross country and track so that was a major factor in coming to Waco for college, but the combination of outstanding athletics, strong academics and dedicated staff at Baylor clinched my decision to come to Baylor. I was thankful for the opportunity to stay for a fifth year to continue running, and because I was graduating with a biology undergraduate degree, I enrolled in the Master of Public Health program. Baylor Media Communications: What are your plans after Baylor and the Fulbright? 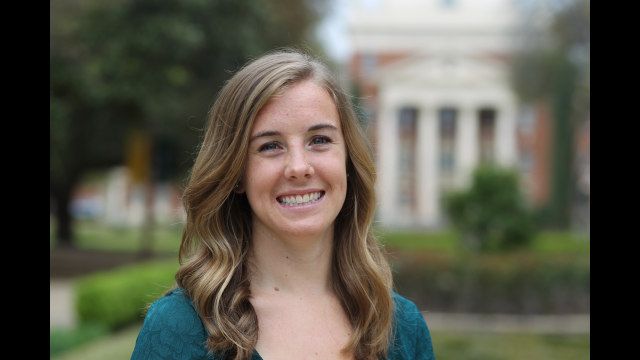 Leigh Ann Ganzar: After Baylor and the Fulbright scholarship, I would love to work in the global health field and I realize that's about as broad as it gets. But so much has changed with my plans in the last year and more change is to come during my time in Brazil. I can only have faith that I will be somewhere where I can best put my talents and opportunities to use. Baylor Media Communications: Who are some of the Baylor faculty members who helped you in your major? Leigh Ann Ganzar: I owe much of the selection for a Fulbright scholarship to Baylor faculty and I am very thankful to be surrounded by such a wonderful community. Dean Elizabeth Vardaman was so supportive and encouraging during the entire process, this would not have been possible without her. Dr. Kirsten Escobar spent many hours with me refining and pouring over every detail of my essays, and I am very grateful for her dedication. Dr. Eva Doyle is not only the Master of Public Health program director as well as an outstanding mentor during the last year and a half, but she and her husband, Dr. Robert Doyle in biology, were the Baylor in Brazil program directors. As role models to the students they took on the trip, they encouraged growth and sparked passion within us all. The support and guidance that Dr. Renee Umstattd-Meyer (HHPR) has given me has also been an important influence during my graduate program. Finally, though I never had Dr. Blair Browning (communication) as a professor, he and his wife have been mentors, role models and family to me throughout my time at Baylor. Eva I. Doyle, Ph.D., director of the master of public health (MPH) program in Baylor's School of Education: I've had the pleasure of working with Leigh Ann in several capacities in our MPH program. But I was most impressed when I saw how she worked in Brazilian communities as part of our Baylor in Brazil program. Prior to the trip, Leigh Ann invested considerable time trying to learn the language and understand the culture. From the moment we arrived, she was fearless in trying to connect and communicate with the Brazilian children, adolescents and adults we served. Even when language barriers arose, it was easy for all to see Leigh Ann as she truly is: genuine, compassionate and positive. We often found Leigh Ann in the middle of a crowd of young people eagerly teaching her yet another Portuguese phrase, song or game. Leigh Ann's attitude and work ethic inspired us all. To echo the words of a public health professional who is currently supervising Leigh Ann's community-based internship work in Houston, "I could use three Leigh Anns in this work. Blair W. Browning, Ph.D., assistant professor of communication at Baylor's College of Arts and Sciences: My wife and I have had the joy of leading a small group through our church that Leigh Ann has been a part of for the past four years. She has literally been in our home weekly during this time and it was a joy to see her grow and mature. We were able to encourage her and pray for her during times of injury, and to celebrate her with her during times of happiness. We are so proud of her not only for the amazing young woman that she is, but also for the incredible ambassador she is/will be for Baylor University. As we watched her balance the rigorous schedule required of student-athletes, we were so impressed with the excellence she pursued in all areas of her life: intellectually, athletically, spiritually and socially. It was easy to recommend Leigh Ann for the Fulbright, as we see the excitement she has for this opportunity in Brazil and for the Brazilian people. It's great to know that when people in this area of Brazil think of Baylor, Leigh Ann will be what comes to mind - she is an all-star and we're so proud of her and excited about this wonderful honor and opportunity.